We know how busy life can be. It's hard enough just to squeeze in time for a workout - let alone find a place for your kids to go while you train. That's why we're proud to offer comprehensive Family Services here at Wyoming Athletic Club. We're helping moms and dads all across Casper stay active and take advantage of cutting-edge amenities like child care and even swim lessons! What's Included In Our Family Services? We want to ensure that every member of your family has something to enjoy here at Wyoming Athletic Club. 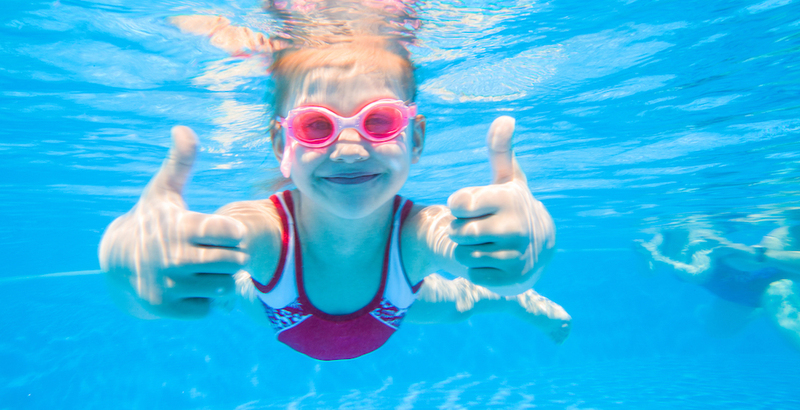 While you're taking on one of our great fitness classes, your child can learn how to swim for the very first time or have a blast in our DFS licensed child care facility. Kyd's Court Child Care: Need to get your workout in but don’t have someone to watch the kids? Our DFS licensed and certified Kyd’s Court Daycare is the perfect solution, with CPR and First Aide certified staff your children will be in good hands. Not only do we have convenient hours but the kids will have a great time doing arts and crafts, watching movies and many other fun activities that arise. Indoor Swimming Pool: Treat your child to exciting swim lessons and help them have a blast learning from our team of professional swim instructors. We offer private, semi-private, and group lessons. Juice Bar: If you need something to drink after a hard workout - wait no longer! Our facility offers a replenishing juice bar with a wide variety of drinks to choose from. With water, Gatorade, Muscle Milk and even smoothies. We’ve got drinks to rehydrate, nourish and replenish your body. Take Advantage Of Our Family Services Here In Casper Today! Don't miss out on everything we have to offer here at Wyoming Athletic Club in Casper. We're proud to host comprehensive Family Services that can make sure every member of your family is having a blast.